Moving a mobile home is not quite a “moving” experience. Sorry for the pun but a fact is a fact. There are many precautions and important steps to take while moving a mobile home, so needless to say there are some cost is involved with the job. Moving such a large item as a home is not an easy task. Here are some things that must be done. For starters they will attach axles and wheels to the home. If the mobile home is a double wide, either they or a contractor will have to first separate the sections to prepare the home for the move. Once this is accomplished the movers will clear any trees or branches and other debris that may be in the way to make a path for them to maneuver the home out. If the mobile home does not have a hitch the movers will need to weld one in place. The mobile home transport company will finally move the mobile home to its new location using a semi with a flat bed. The mobile home transport cost will depend greatly on a few different factors. The transportation company charges flat rate per mile for the move, so specifically how far its going will determine that cost. If your home is a single wide or a double wide that will determine much of the price as well. When transporting a double wide they need two trucks and more staff to aid in the move. 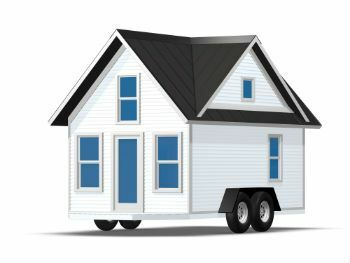 At TEXAS REPOS we ask you to provide us with information about the current location of your mobile home trailer (if you’re a seller), as well as the exact destination where you desire the home to be moved (if you’re a buyer) so we can plan the shortest, safest route on which to move your home. We may have to survey the height of overpasses to make sure the home will fit when being towed through them. Proper planning is key to a safe move. Here’s a big tip: When moving and setting up your mobile home COMMUNICATION is the key to success!! Communicate with your sellers, movers and county to make sure all the bases are covered. It makes it easier on all parties if you do.